Nutrition is a huge key to better performance and health. But what you eat before and after a workout can truly take your training and recovery game to the next level. A lot of athletes know how critical post-workout nutrition is. But what about before? The goal of a pre-workout meal is to give you the greatest potential energy during a training session. 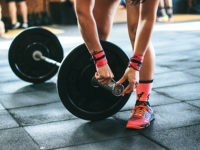 Think of your pre-workout meal as priming your system, enabling you to get in a few extra reps or add just a little more weight, while your post-workout is all about recovering, repairing muscle fibers and putting you in the best position possible to train again. Yes, it is about what you eat AS A WHOLE. Your pre and post-workout meals don’t make up for eating a poor-quality diet the rest of the day, severely under-eating or weekend binges. (There’s also the underrated post-post workout meal.) But once you’ve grasped the concept of weighing and measuring and consuming enough macros (nutrient timing is a lot to comprehend for most people just starting out) the following strategies can be utilized to help you get to your goals quicker. Why it’s important: Blood sugar control and nervous system function. You want to regulate your hunger and avoid your blood sugar taking a nose dive at the very moment you need it most: to power through intense training. If you haven’t eaten since lunch and are trying to get in a 5 p.m. workout, you have a recipe for low blood sugar and the light-headedness and dizziness that comes with it. 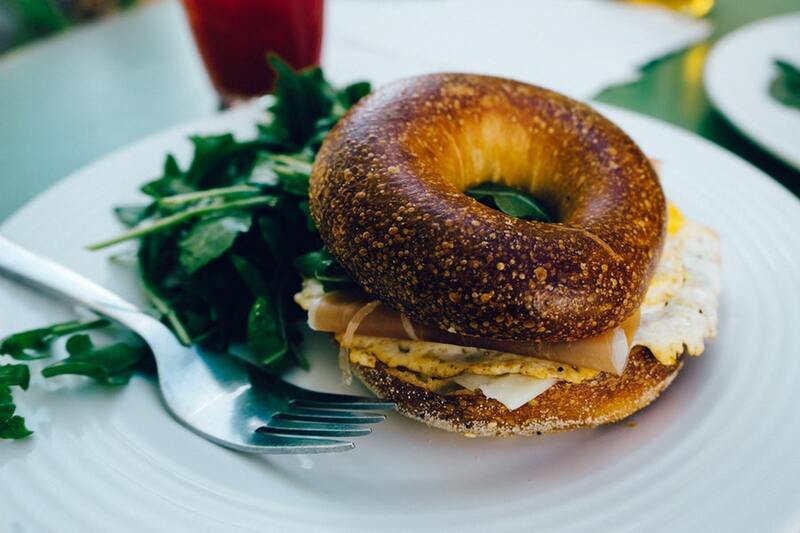 A bagel sandwich = carbs + protein. Check! There’s nothing wrong with taking some pre-workout to give you a caffeine boost, if you tolerate it. But you need to have eaten actual food within the last three hours perform your best. When to Eat: This is individualized and takes some trial and error, but 90-120 minutes before training is a good rule of thumb for most people. Morning exercisers? We’ll get to you later. Some people are OK eating 60 minutes before, while others like to be a little more digested by then. Play around with different times to see what works best for you. If you’re getting hungry during your training sessions, don’t be afraid to adjust things. Protein and carbs, sans fat, is going to allow for normal digestion rate. 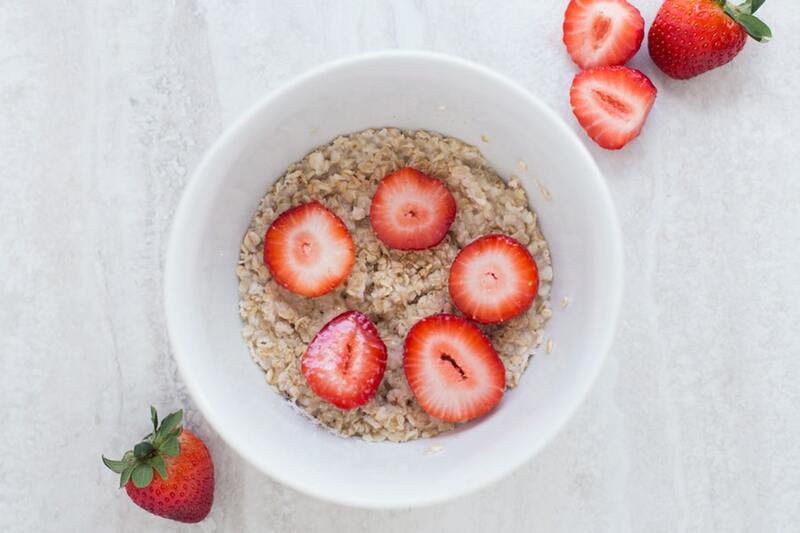 That said, a little fat isn’t going be detrimental; a bowl of prepared oatmeal has about 3-5 grams of fat but it is still a perfect option for your pre-workout meal. Aim to keep your total fat intake before training under 10 grams and you are golden. 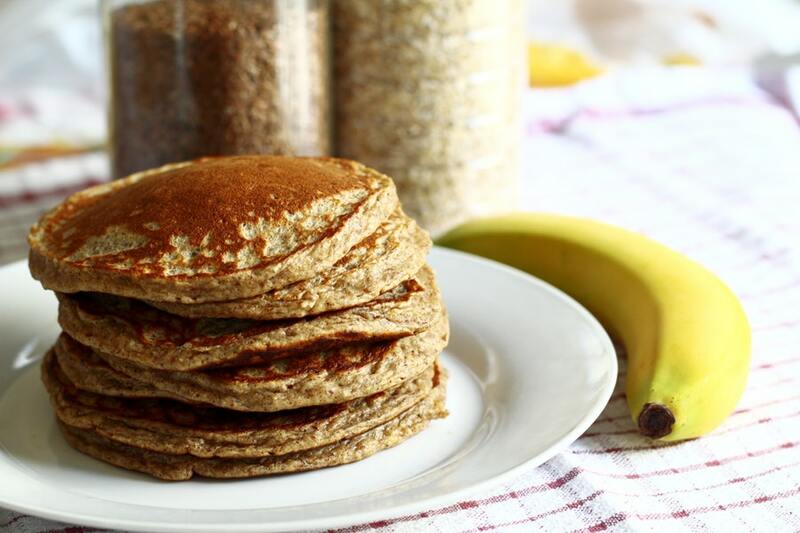 Pancakes made with oat flour and protein powder. You can mix in some fast carbs like a banana if you want. How Much? 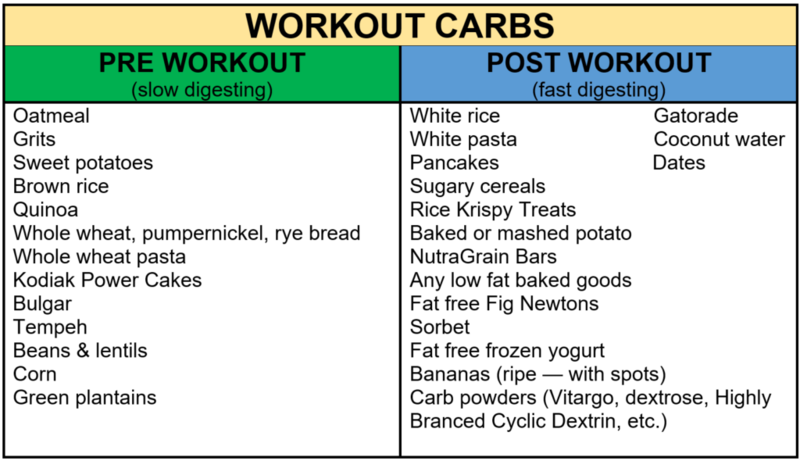 A safe suggestion for most people is to consume 30-40% of your daily carbs prior to training. If you’re new to eating carbs or eating carbs pre-workout, consuming 50 grams of carbohydrates and 25 grams of lean protein is a good starting point. Though this varies widely depending on training age, athlete size, training type and overall goals. That’s another reason why you need to have a solid grip on ‘how much food should I be eating?’ before you start delving into timing. Because we want to regulate blood sugar and avoid you getting hungry during training, you want the bulk of your pre-workout carbs to be slow digesting. Think oats, grits, sweet potatoes, etc. See the chart below for more choices, or here’s an easy go-to idea. The problem with eating a sugary, quick carb —say, a donut— on the way to the gym is you can easily burn through those sugars before you’re even halfway through your workout and then you hit a wall. Fast digesting carbohydrates (also referred to as High GI) create a quick and more dramatic rise in blood sugar. Ever experienced a sugar crash? That’s what we’re talking about here. Not exactly ideal if our goal is to keep your blood sugar stable and ward off hunger pains. However, if you have no other choice, fast-digesting carbs are still a better option than a super fatty meal or say nothing at all. If you’re on the shorter end in terms of when you eat (say within an hour of working out), fast digesting carbs may be the better choice. Or you can try to experiment with a mix, say adding a half banana (fast carb) to your oatmeal or Kodiak pancakes (slow carb). Nutrition (in our opinion) is supposed to flexible; there’s not one magic diet/food that’s going to work for everyone. If having two donuts before your training every now and then makes you happy and doesn’t negatively impact your performance, then more power to you! But ideally you want slow-digesting carbs so you can push through your entire training session. Most food takes 4-5 hours to digest and become usable fuel for the body. So the pre-workout meal is more about staving off hunger pains and keeping your blood sugar stable than actually “carb loading” to use an hour or two later. You may be able to top off your glycogen stores a little bit by taking in carbs here, but that’s not the primary effect. The goal with the pre-workout meal is to not be hungry, but not be super full, either. 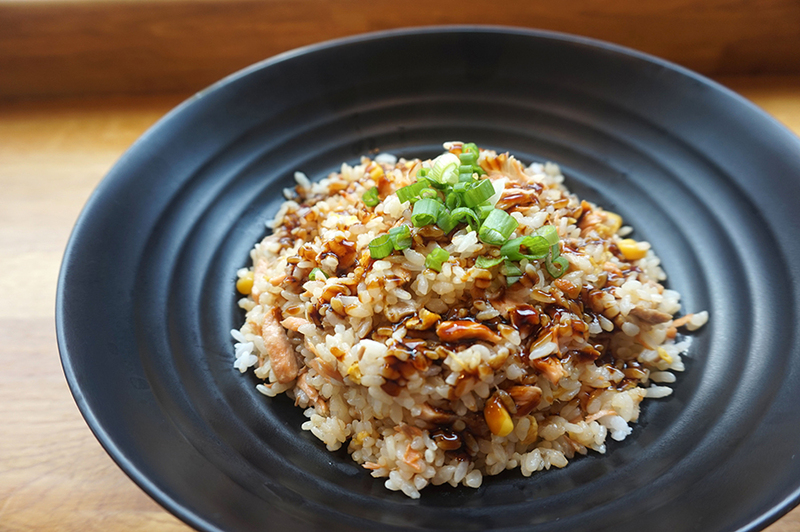 Brown rice is a good choice for before workouts, while white rice is best for post workout. What If I Work Out In The Morning? If you’re not able to have breakfast or any kind of meal before training, we’re not going to advocate waking up 90 minutes early just to eat. It’s perfectly fine for most people who workout in the morning to train fasted. But it requires you to put a little more thought into the night before. That’s at an absolute minimum. You can definitely up that number. Again, it’s going to require a little trial and error at first. You can also experiment with sipping BCAAs while fasted a few minutes before your morning session. While most people who consume enough high-quality protein don’t need additional BCAAs, they can help preserve lean tissue in fasted athletes. 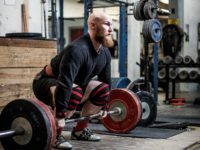 What If I Have Multiple Training Sessions? Recovery is paramount for athletes who are training more than once per day!! As such, you ideally need a pre and post-workout meal for every session that you do. Timing may be an issue here, particularly with pre-workout meals. 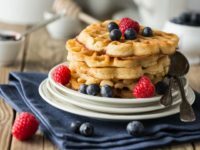 If you’re short on time between sessions, you may need to play around with eating more fast-digesting carbs beforehand–they won’t be too heavy in your stomach allowing you to fully digest before your next session, but still giving you the energy to get through before you can eat a full meal. 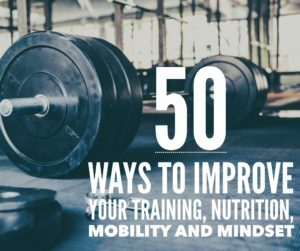 You can also experiment with an intra-workout shake of whey protein and a carb supplement to help give you enough fuel to finish out your training. carbs, driven nutrition, flexible dieting, fueling strategies, macros, nutrition, nutrition tips, pre-workout, protein. Bookmark.